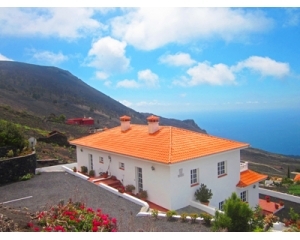 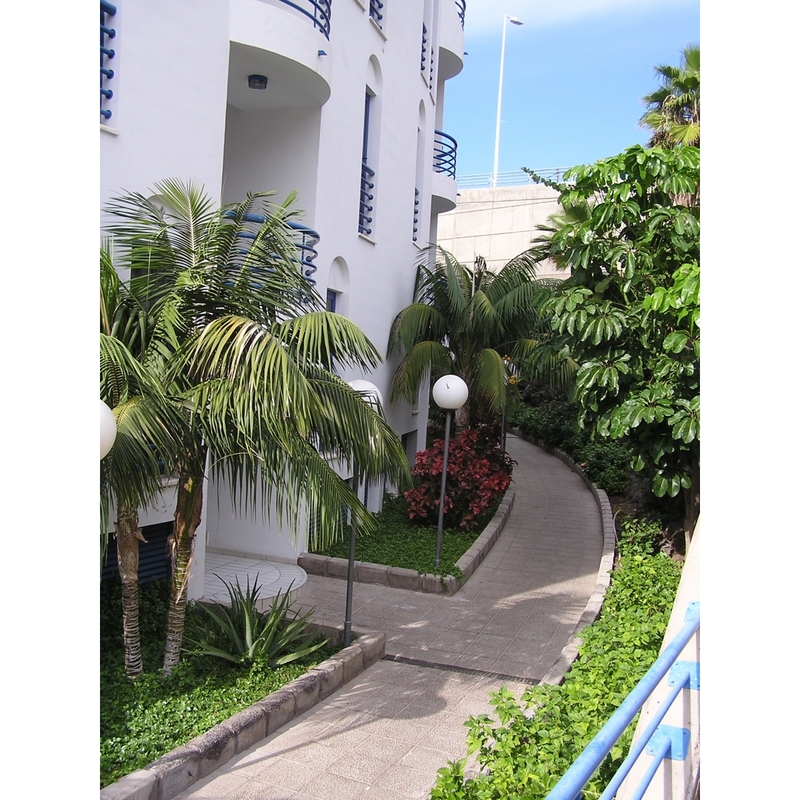 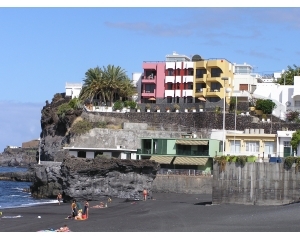 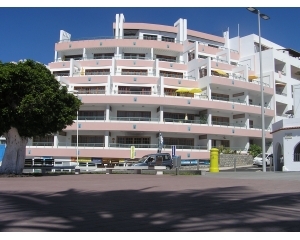 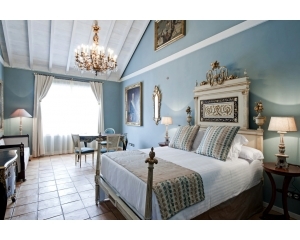 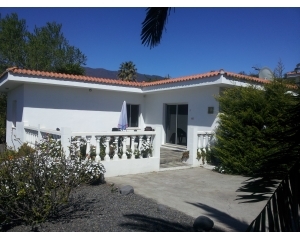 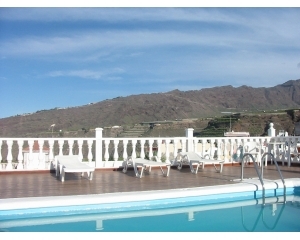 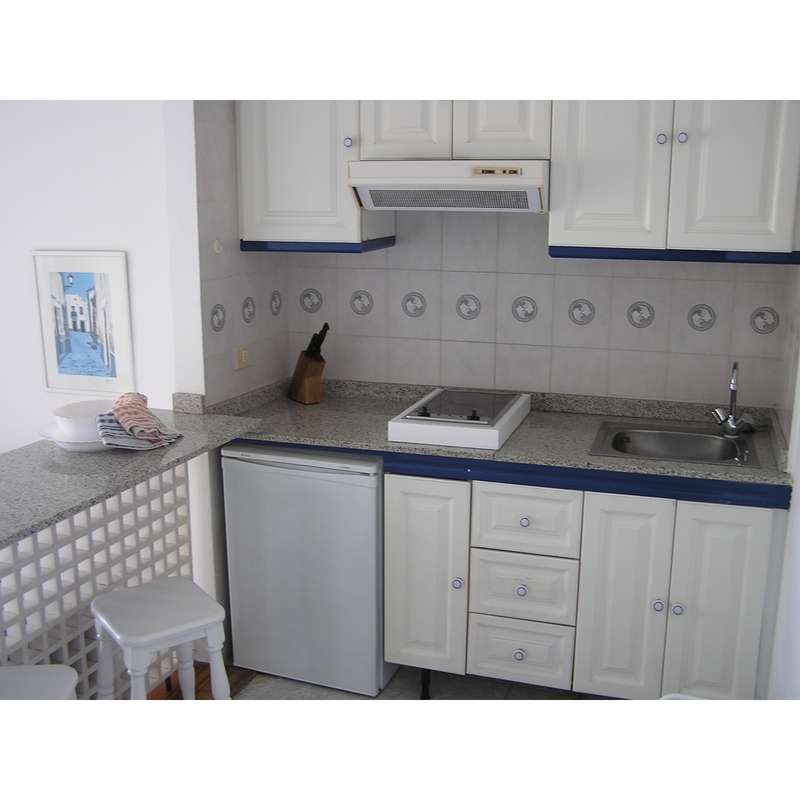 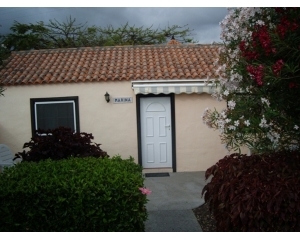 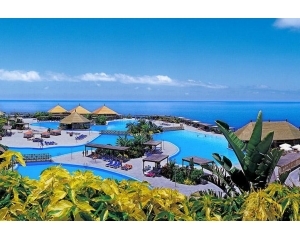 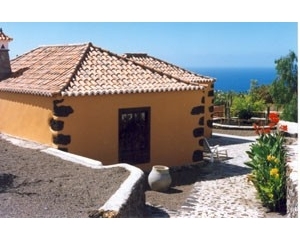 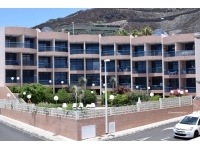 Home > Accommodation>Apartments Los Lajones (Puerto Naos) Max 3 Pax - O.A. 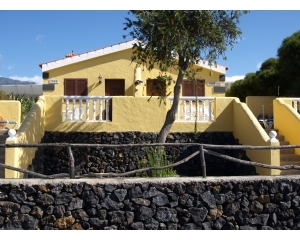 SITUATION: This Apartement Building is situated on the edge of the village with good views. 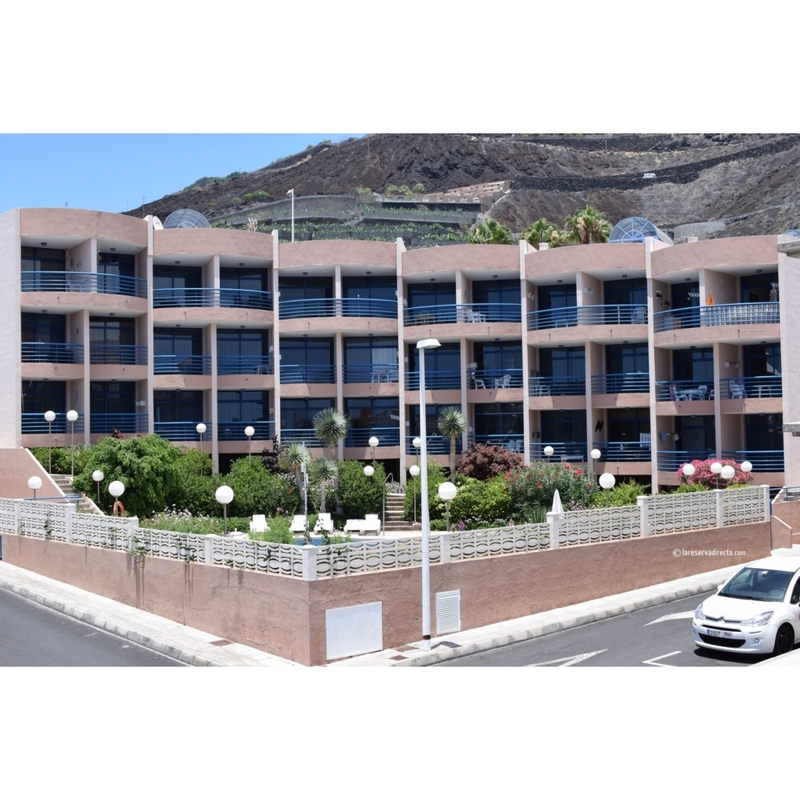 The distance to the beach, supermarkets, restaurants etc is about 200 m.
APARTMENTS: There are 36 individual apartments each sleeping 1-3 people (and 1 baby). 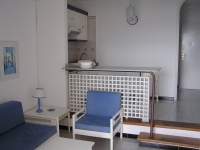 The bathroom is equipped with bath / shower, basin, WC and individual electric boiler. 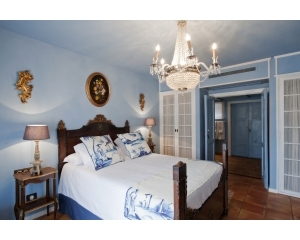 The bedroom has 2 single beds, bedside table, spacious wardrobe/cupboard with built in safe to rent. 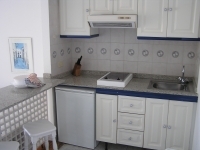 The sitting-room has the kitchen incorporated, comprising 2 hotplates, fridge, kitchenware etc, dinning table and chairs. 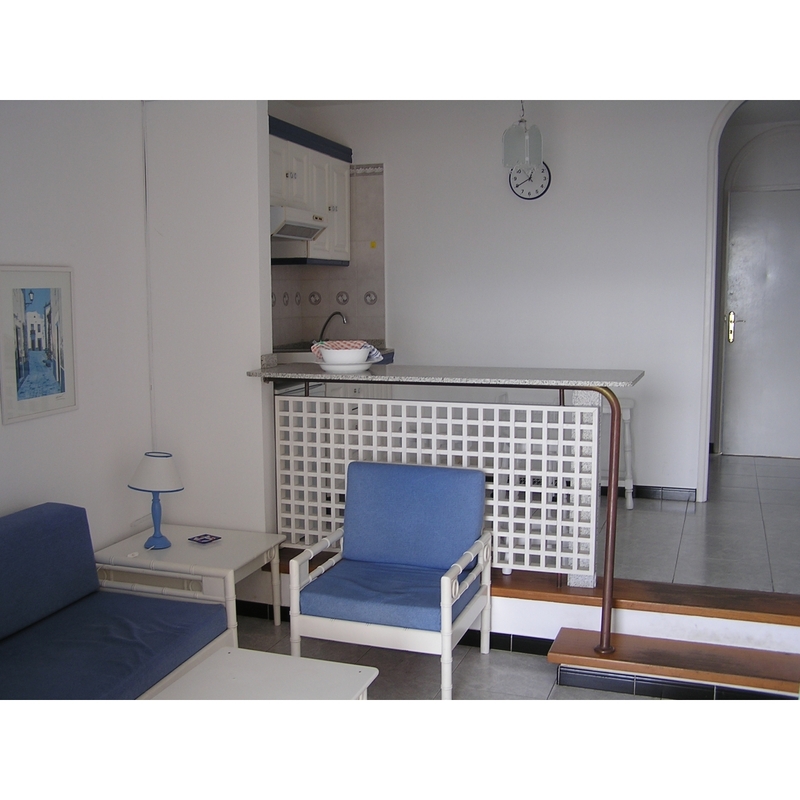 For the 3.person there is a sofabed in the sitting-room. 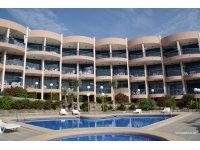 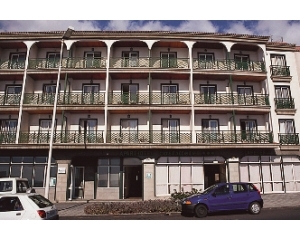 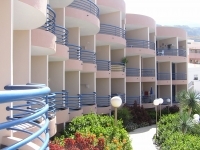 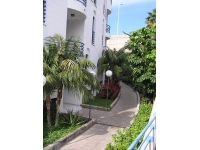 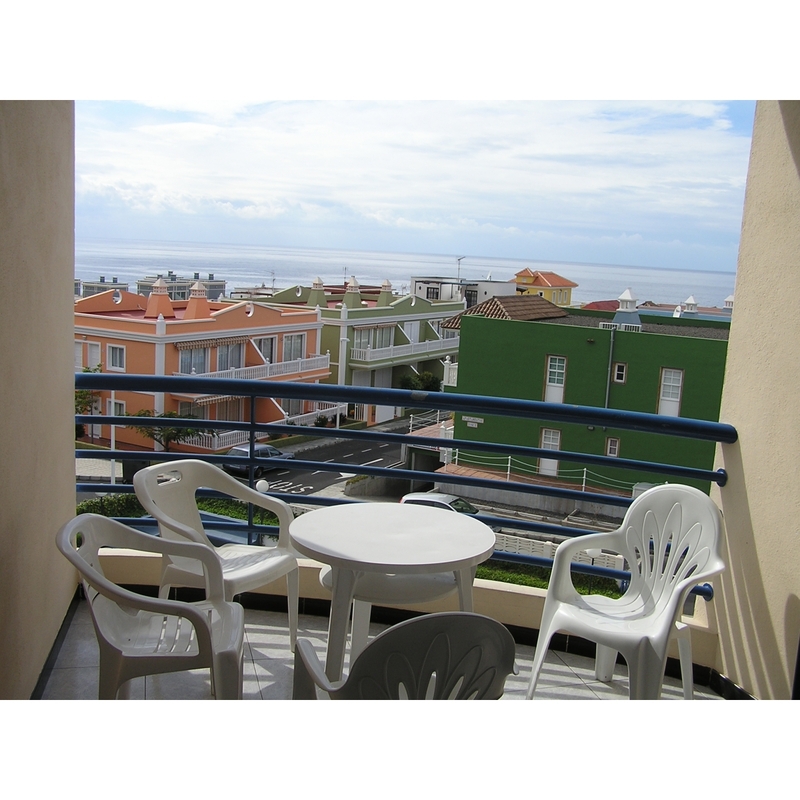 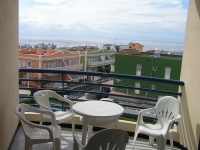 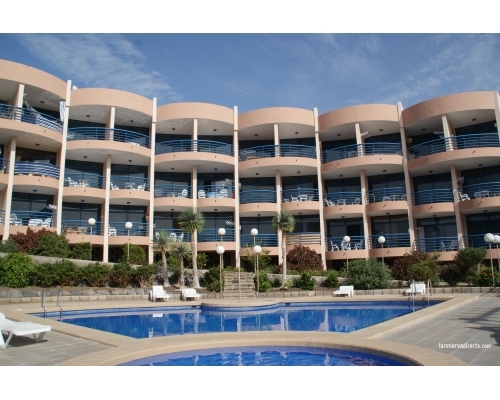 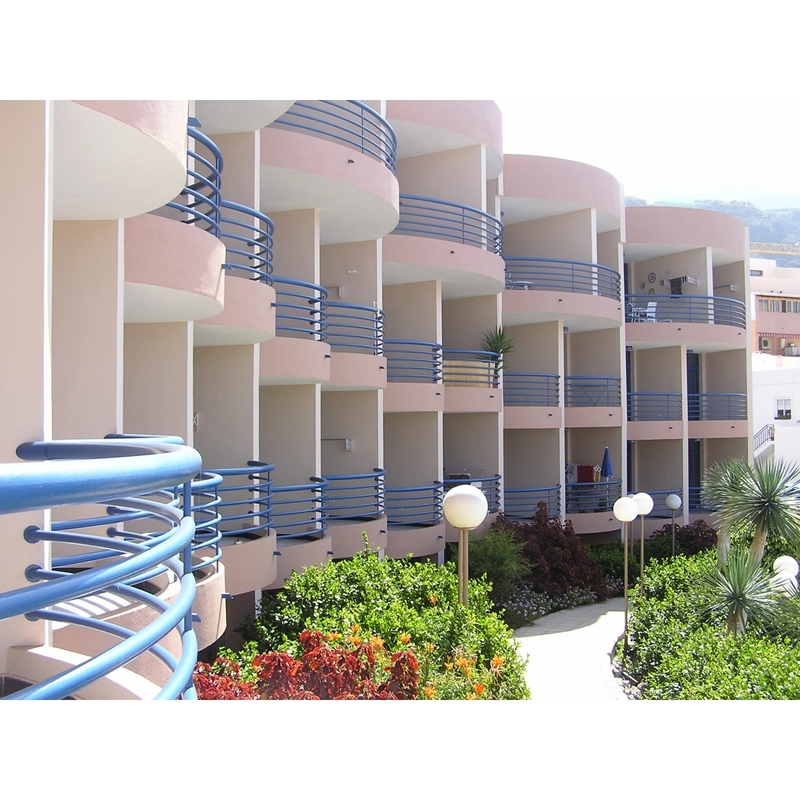 The spacious furnished balconies face south-west mostly with seaview. 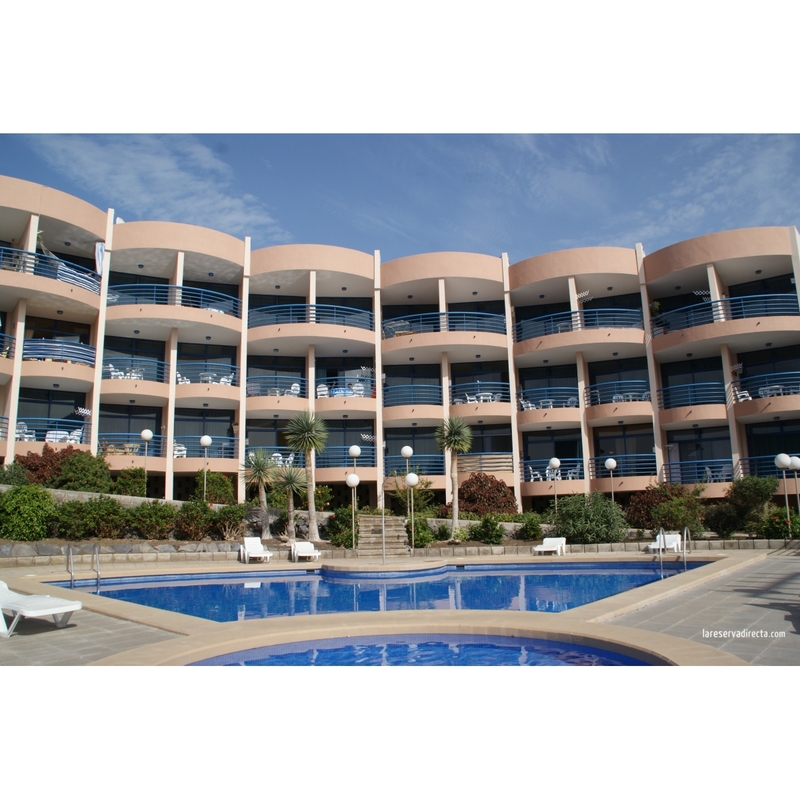 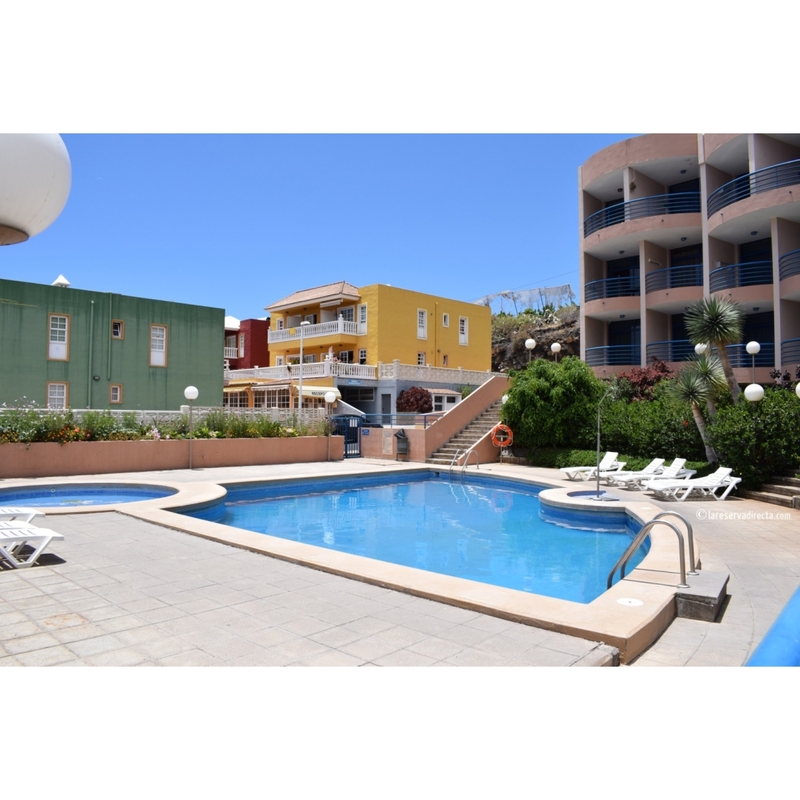 EXTRAS: The Apartement Building has a swimming-pool with sun loungers, sunshades, showers and a separate children´s pool in a well laid out garden. 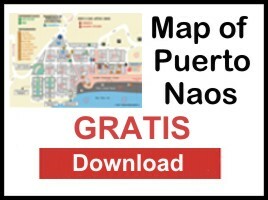 WiFi GRATIS.